The gunmetal teardrop locket, joined to an antique silver ribbon charm, is adorned by a wire-wrapped Czech black glass bead. It hangs from a nickel free gunmetal chain of app. 19 inches. A little secret can be safeguarded within! 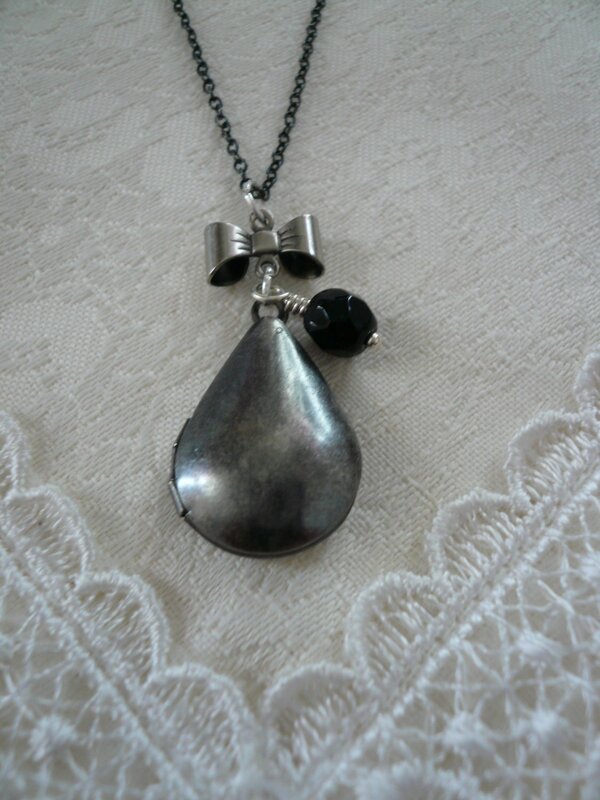 The TUXEDO Teardrop Locket Necklace will arrive gift boxed & be sent by Registered Airmail providing a tracking number. Thank you for visiting JewelFairy.